I would like to inquire about your property Bayut - 834-Ap-S-0010. Please contact me at your earliest convenience. Price: AED 2,050,000 Best Price in the Market!! THE RESIDENCE, LOCATED ON LEVELS 19-108 OF BURJ KHALIFA, UNDERLINE BURJ KHALIFAS REPUTATION AS A VERTICAL CITY. With 900 residences including studios and one, two, three, and four-bedroom apartments, The Residence in Burj Khalifa, the worlds tallest building, is designed for the connoisseur. The homes, located on levels 19 to108 of the tower, underline Burj Khalifas reputation as A Vertical City. Welcoming visitors at the lobby reception of The Residence is World Voices by the renowned artist Jaume Plensa. Comprising 196 cymbals representing the 196 countries of the world (at the time), the installation symbolises the global collaboration that made Burj Khalifa a reality. For the convenience of homeowners, there are elegantly designed Sky Lobbies on Levels 43, 76, and 123. Adding to their lifestyle choices are state-of-the-art fitness facilities including Jacuzzis on Levels 43 and 76. The Sky Lobbies on 43 and 76 both feature swimming pools and a recreational room that can be utilised for special events and receptions. A Living Wonder, Burj Khalifa is described as a Global Icon by the Council on Tall Buildings and Urban Habitat, an honour bestowed on tall structures only once in 10 or 15 years. Rising gracefully from the desert, Burj Khalifa honours the city with its extraordinary 'union' of art, engineering and meticulous craftsmanship. At 2,716. 5 ft, the 200 plus storey Burj Khalifa has 160 habitable levels, more than any other building in the world. 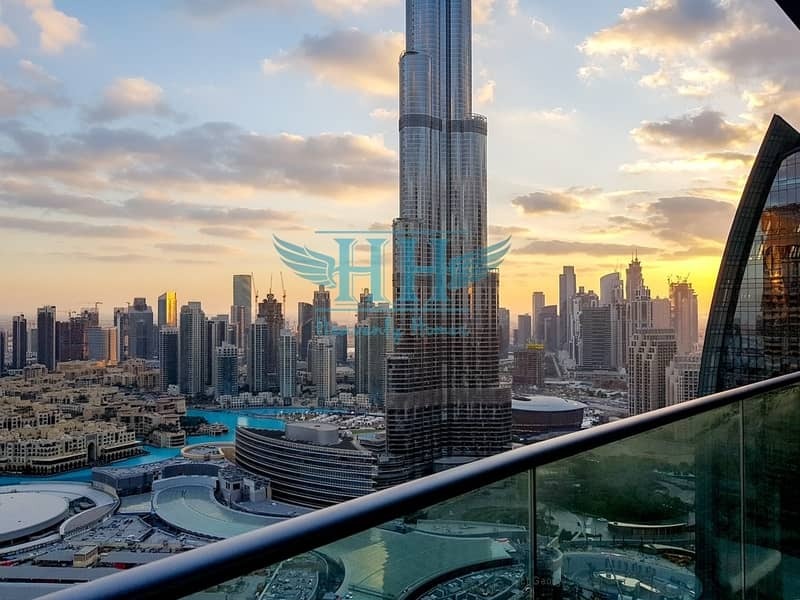 The Residence offers spectacular views of the city, the Arabian Gulf and the fascinating attractions in Downtown Dubai, including breath-taking performances of The Dubai Fountain. Home-owners are in the heart of a vibrant lifestyle destination, described as The Centre of Now, with world-class malls, hotels and leisure attractions. Heavenly Homes was established by the need for providing extra ordinary Client oriented services in our Real Estate Industry. The need to give that extra care to the customers needs in order to revive their faith in this industry completely. Our Core Goal is to be a market leader for providing the best-enhanced realty services, develop new relationships and increase profitability. Our Director's vast experience of over 15 years in the banking Industry, with various senior roles as Head Sales, and Mortgages for major consumer products in the Retail sector, this has provided him the deep knowledge and skills to incorporate work ethics and Integrity with the Real Estate Sector. Given the delicate nature of the bond between the client and Agent, it is highly required in this day and age. The fact that the Client should have the utmost faith in the Agency. Therefore it becomes the duty of the Agent to give his best and ensure profitability for the client as well the Agency. 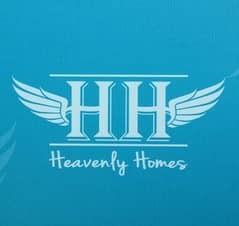 Heavenly Homes has been established as a real estate company in Dubai, UAE. Since 2014 and duly Registered with the Real Estate Regulatory Authority. However the director has been involved in the Industry since 2005, with personal investments of over 7 million AED. There is a great need for certified agents to deal with Banks, that is where we handpick the best available candidates, who can portray a clear picture our work ethics to the client. In addition to real estate investments, the company has invested portions of its assets in the purchase and sale of properties, It has also invested in International Projects. To be a Leader in Real Estate Industry by providing Quality services that exceeds the expectation of our esteemed customers. We believe in treating our customers with Respect and Faith, we grow through, creativity, invention and innovation. We integrate Honesty, Integrity and Business ethics into all aspects of our business functioning. Expansion in the field of property management and develop a strong base of key customers in order to provide a one stop shop for their entire property needs. Increase the assets and investments of the company.